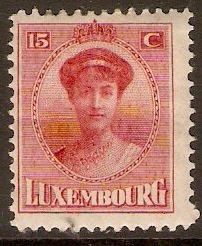 Luxembourg 1921 15c Deep carmine. SG193a. Heavy mounted mint 1921 15c Deep carmine. SG193a. 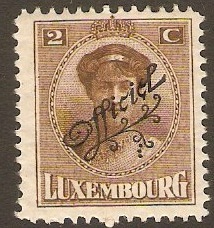 Luxembourg 1921 2c Brown. SG194. Mounted mint 1921 2c Brown. SG194. Grand Duchess Charlotte definitive series. 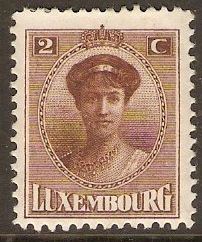 Luxembourg 1921 3c Olive-green. SG195. 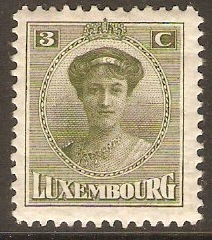 Mounted mint 1921 3c Olive-green. SG195. Grand Duchess Charlotte definitive series. 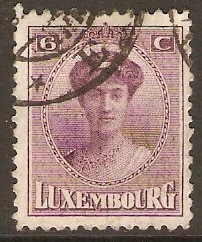 Luxembourg 1921 6c Purple. SG196. Fine used 1921 6c Purple. SG196. 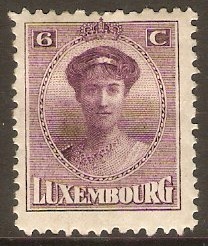 Mounted mint 1921 6c Purple. SG196. Grand Duchess Charlotte definitive series. 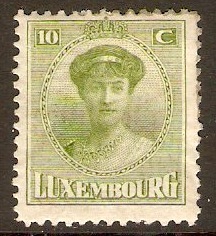 Luxembourg 1921 10c Pale yellow-green. SG197. Heavy mounted mint 1921 10c Pale yellow-green. SG197. Grand Duchess Charlotte definitive series. 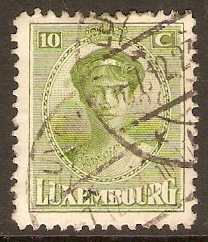 Used 1921 10c Pale yellow-green. SG197. Grand Duchess Charlotte definitive series. 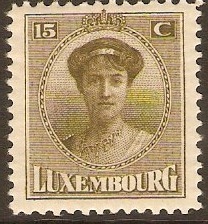 Luxembourg 1921 15c brown-olive. SG198. Heavy mounted mint 1921 15c brown-olive. SG198. Grand Duchess Charlotte definitive series. 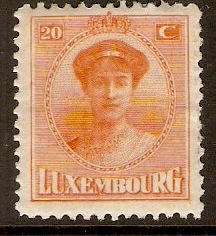 Luxembourg 1921 20c Red-orange. SG199. Mounted mint 1921 20c Red-orange. SG199. Grand Duchess Charlotte definitive series. 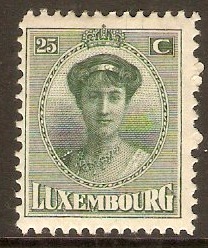 Luxembourg 1921 25c Deep green. SG200. Mounted mint 1921 25c Deep green. SG200. Grand Duchess Charlotte definitive series.